In a previous blog, I discussed in detail the difference between partial and total hip replacements. Basically, a partial hip replacement (hemiarthroplasty) is performed to treat femoral neck fractures which are a type of hip fracture. During a partial hip replacement, only the head of the femur (thigh bone) is replaced and the new prosthetic head rotates in the body’s own natural hip socket. 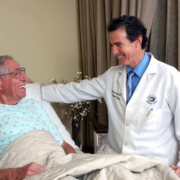 A total hip replacement (THR) involves replacing the femoral head and resurfacing the socket. With this procedure, the prosthetic femoral head moves within the prosthetic socket. Total hip replacements most often are performed when there is cartilage damage on both the femoral head and within the socket, which occurs from degenerative osteoarthritis of the hip. There is, however, an increasing trend to treat some hip fractures with total hip replacements. Usually, patients who are considered good candidates for partial hip replacement have no underlying hip arthritis and have healthy acetabular cartilage. This is often the case for someone who has fractured the femoral neck after a fall but did not have troublesome hip symptoms or hip arthritis prior to their injury. There are a number of reasons why some patients who have partial hip replacements do poorly or just not as well as THR patients. However, many of the reasons patients have pain or discomfort after a partial hip replacement are the same as with THR. 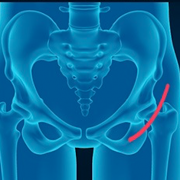 These include a loose or unstable component (in the case of a partial hip, this refers only to a loose stem, while a total hip patient can experience pain for either a loose stem or cup), a fracture of the bone that supports the stem (or also the acetabulum in the case of a THR), or infection. Unique to patients with partial hip replacement are symptoms including pain generated from soft tissue or bone cement that gets caught between the new artificial hip ball and the natural socket, pain generated from the metal ball rubbing on the bone the makes up the socket (metal on bone), or even pain generated from tension or pressure being exerted on the surrounding hip capsule and tissues. Sometimes, boney or soft tissues can impinge or rub together secondary to how the fracture healed or from bone-over growth. The risks versus the benefits for each type of surgery must be weighed when selecting what is best for each individual patient. One of the major advantages of partial hip replacement surgery is the revised hip is inherently more stable and less prone to dislocation because the replacement ball is much larger. Because the surgical dissection is typically less when performing a partial hip, the incidence of dislocation is further diminished. 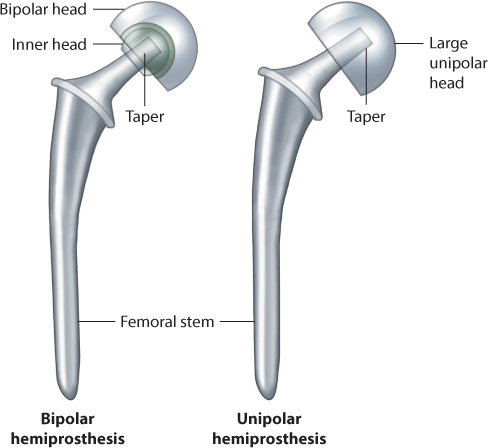 Also, many partial hip replacements rotate in two planes (bipolar endoprosthesis) rather than one (monopolar endoprosthesis), further improving stability. These are very important considerations if the patient has a history of frequent falls. Indeed, many elderly patients who fracture their hips have this history until ultimately the last fall results in a fracture. If the patient continues to fall after surgery, then the risk of hip dislocation is much higher. Performing a total hip replacement does require more surgical skill because two components rather than one must be implanted and oriented to one another. This too must be weighed in the decision-making process. I repeat – many patients treated with partial hip replacements do very well. However, if someone is not doing well with a partial hip and it is restricting his or her ability to remain active and pain free, then I would recommend finding out why. Potential causes should be evaluated and ruled out (like infection). What’s most important is to understand why the hip hurts so that a proper treatment plan can be established to address and correct all of the problems. I see many patients who present with pain related to their partial hips and ultimately they do very well with additional surgery, often converting to total hips by placing a fixed socket and replacing the ball. In my practice, most patients who come to me present with some form of hip arthritis so partial hip replacement is not appropriate. Or, they have already had partial hip replacements and are struggling with pain, limps and an inability to resume activities they enjoyed prior to breaking their hips. 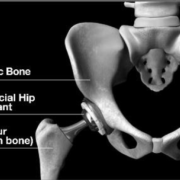 For those patients who have an acute hip fracture, I fully discuss with them and their families the pluses and the minuses of having a partial hip versus a total hip, and that I might defer making the final decision until surgery when I actually can assess the condition of their acetabular cartilage. For those patients who tend to be more active and have higher lifestyle demands (the desire to play golf, tennis, walk for exercise, ride a bike, etc. 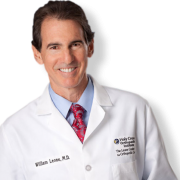 ), I perform total hip replacements, even when prior to the fracture there was no evidence of disease. I always tell my patients that as a general rule, if your quality of life is disrupted, it’s worth finding out what your options are. The decision to perform total hip replacement surgery on the very young or very old must carefully be considered as with any surgery. However, whether your goal is just to be able to walk and regain the ability to perform normal, every-day activities or you have the desire to get back to the sports you enjoy, joint replacement surgery truly has the potential to transform lives. You would be amazed how many people are out there who have reached “that age” and are not willing to give up any quality of life. And, if surgery, including converting from partial to total hip replacement, is right for them, they shouldn’t have to.